A female iguana at the Darwin Center, part of a captive breeding program that is restoring two colonies of land iguanas that were decimated by wild dogs. 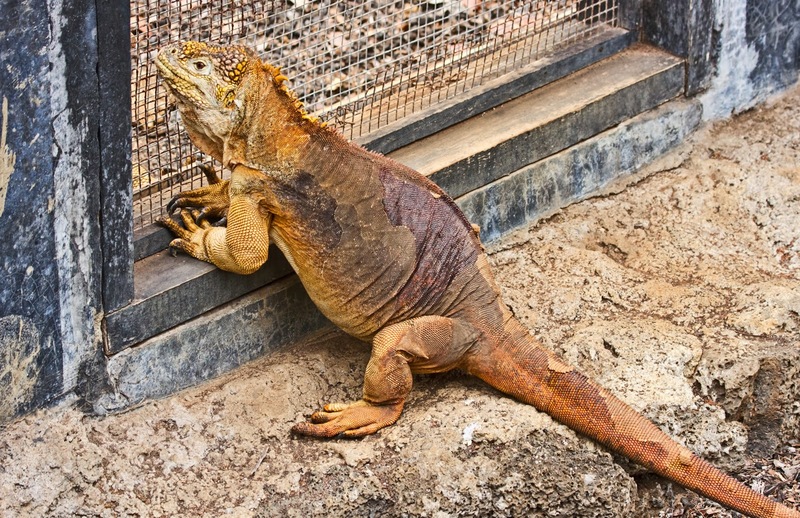 They breed the iguanas at the center, then repatriate them on the islands. She's in a pen with male iguanas on both sides, but it seemed like she was focused on the handsome fellow in the picture below. 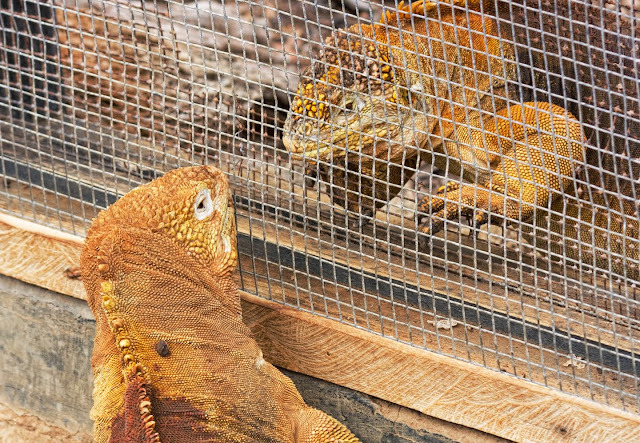 The iguanas won't actually be allowed to mate until the rainy season starts. But they are clearly anxious to get to know each other much better. Did someone say "fish market?